Malaga on Spain’s Costa Del Sol is a buzzing city with more history, culture and great food than many cities put together. 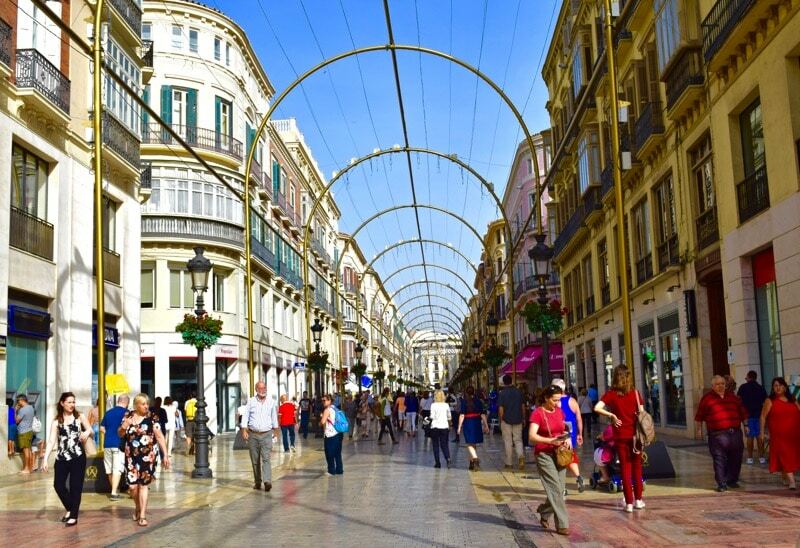 Find out the top things to do in Malaga your first visit. 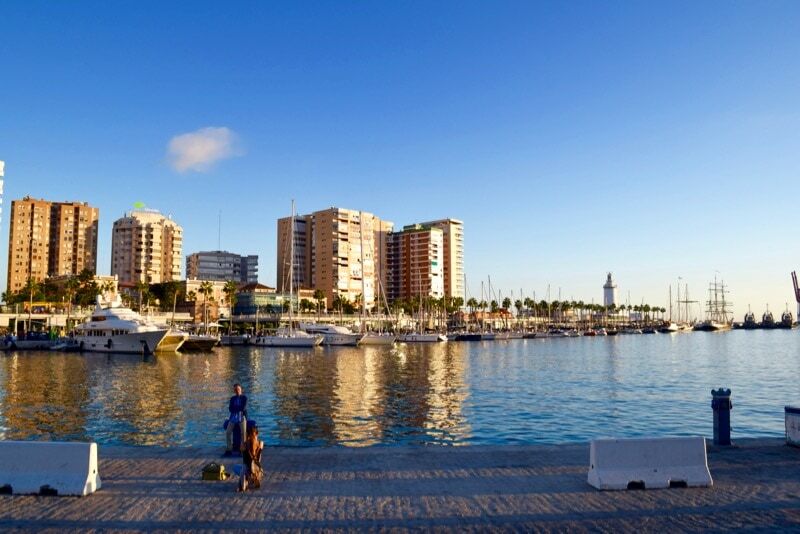 Malaga, the heart of the Costa Del Sol. 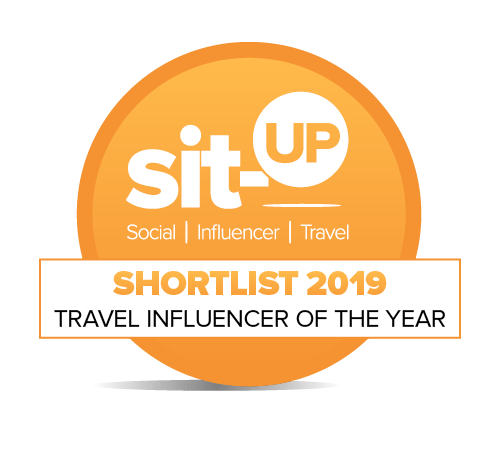 With over 300 sunny days a year, hot summers and the warmest winters in Europe, it’s a great choice for a holiday all year round. 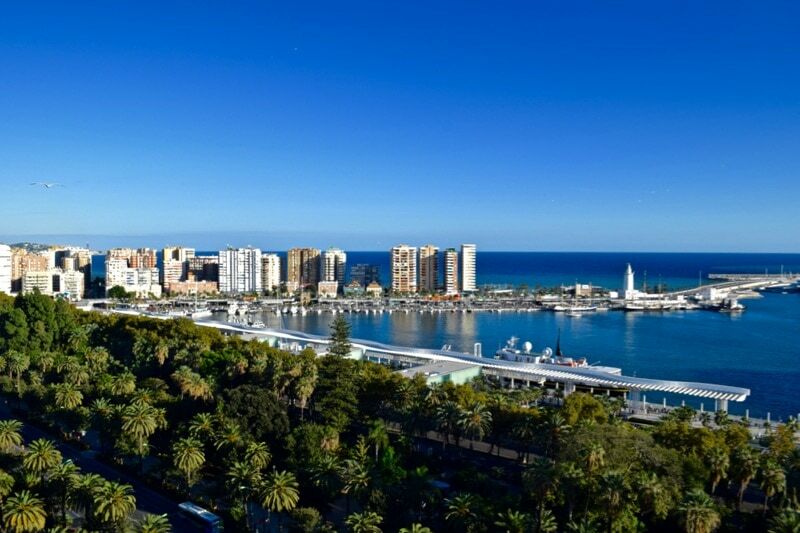 Many Brits visit Malaga just for the airport as they travel on to the likes of Marbella and Torremolinos, but Malaga really is worth a dedicated holiday. Malaga is a city undergoing regeneration. While it may not have the draw of nearby Andalucian cities Granada, Córdoba and Seville, it offers plenty in the way of art, culture and beauty. It’s got that beautiful marriage of ancient and modern. Trendy bars and food markets sit next to Gothic cathedrals and Roman ruins, while rooftop pools offer views to an 11th Century castle on one side and a modern promenade on the other. It’s got that buzz about it. A city on the rise. 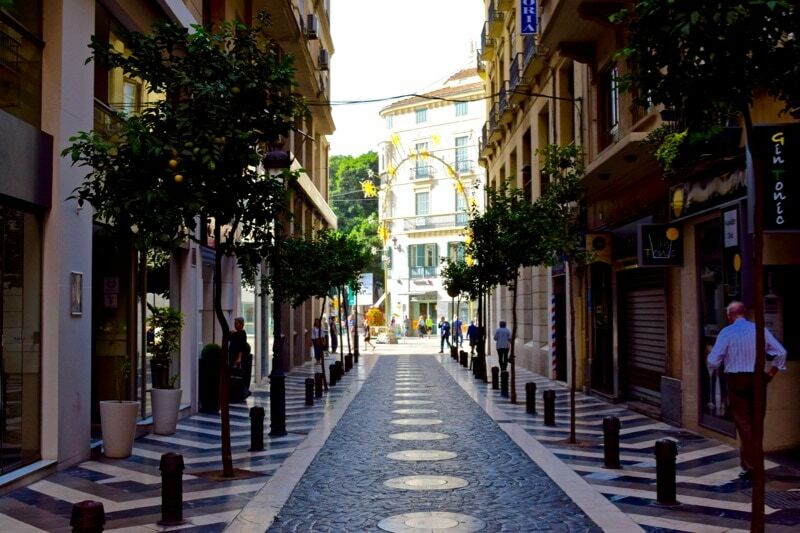 Malaga is a city of cute pavement cafes, historic plazas and stunning architecture. A former stomping ground for Picasso, there’s a creative streak running through the city. 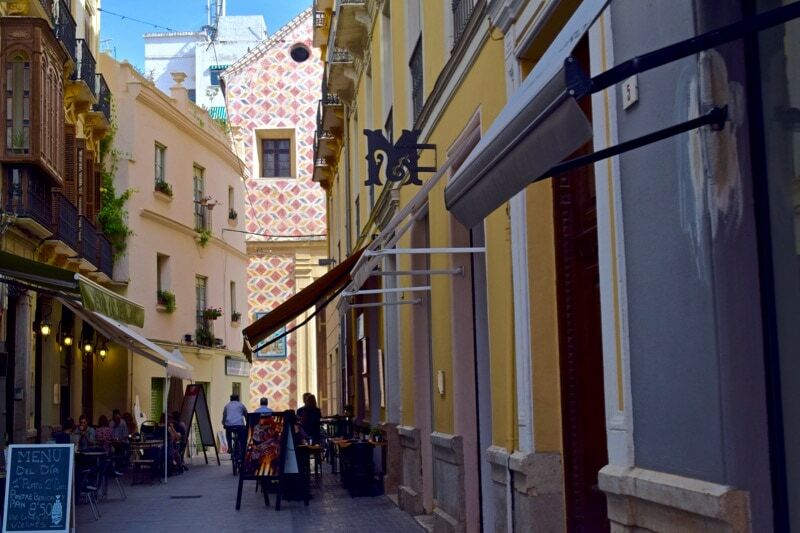 Huge murals, mosaic floors and eye-catching street art line the ancient streets. Be sure to wander along Larios – one of the most expensive streets in Spain, often compared to NYC’s 5th Avenue and the Champs Elysees in Paris. It’s one of the key points of interest in Malaga, Spain. What can you do in Malaga Spain? EAT EAT EAT! 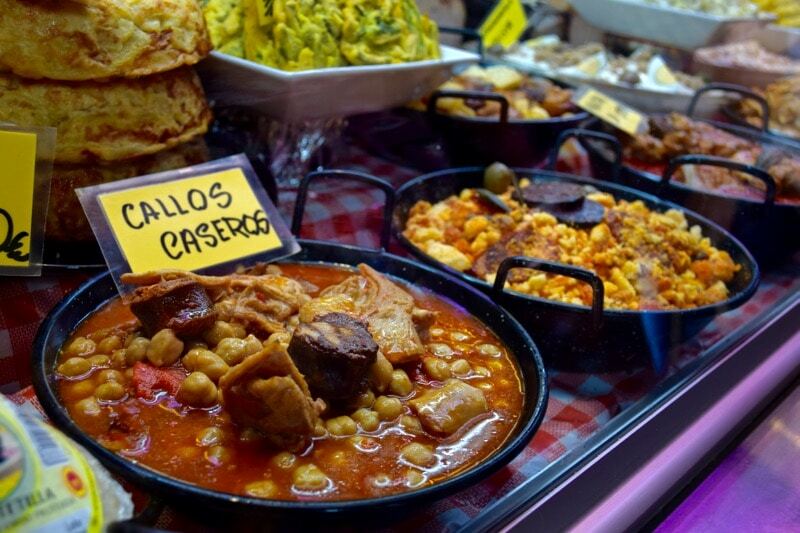 The food in Malaga is top notch and the best way to get to know it is by visiting one of the city’s markets. 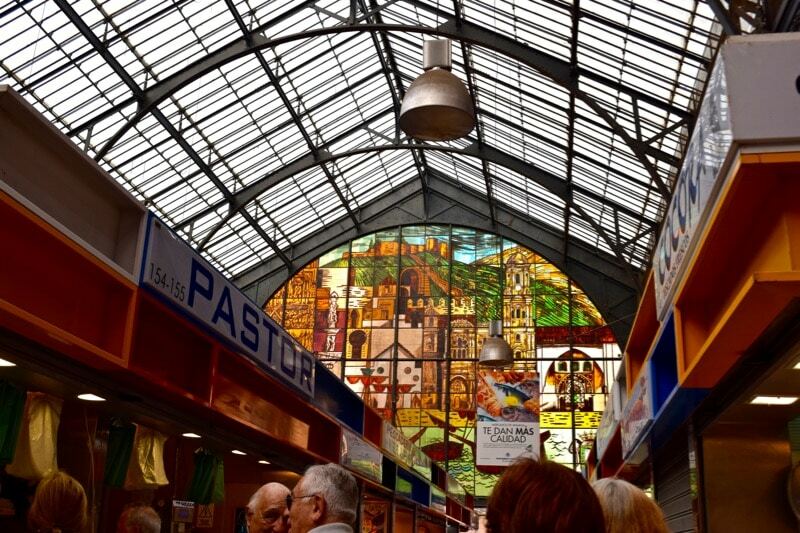 Mercado Central de Atarazanas is a busy market in a beautiful historic building. It’s hard not to be impressed by the huge archway at the front which was once part of a shipyard. The building fuses 14th century Moorish architecture with 19th century industrial design. Once inside, the most eye-catching feature is its huge stained glass window. 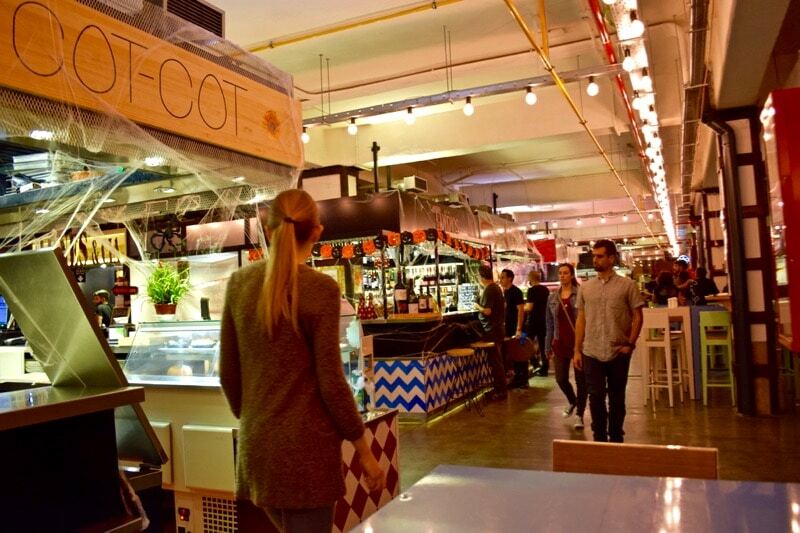 Stalls inside offer everything from cheese and meats to fresh fish, colourful fruit and vegetables and hundreds of varieties of olives. 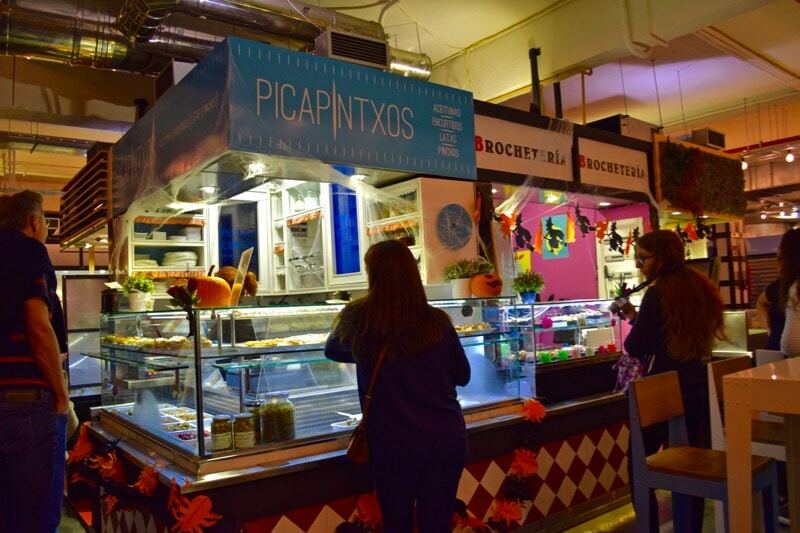 Meanwhile, Mercado Merced is a gourmet market offering tasty tapas and alcoholic drinks in a more sophisticated environment. 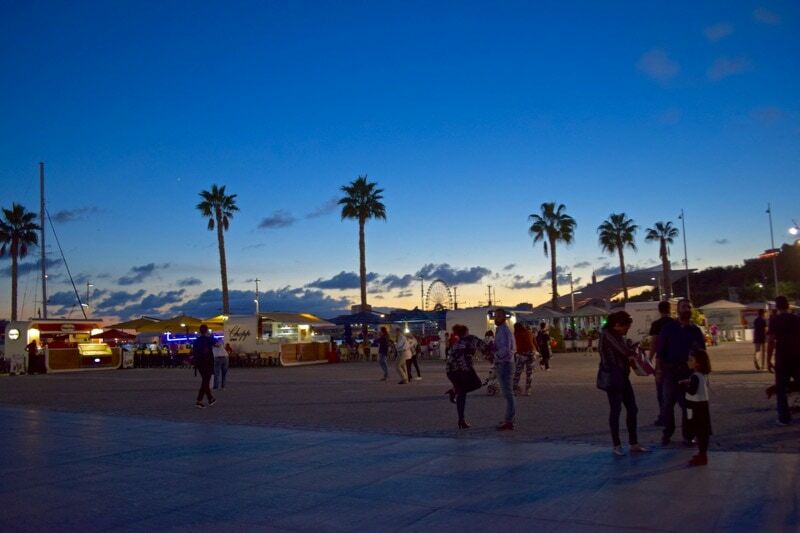 From Malaga’s famous fried fish to croquetas to craft beer and even sushi, it’s one of the top things to do in Malaga at night, and a really fun place to spend an evening with friends. 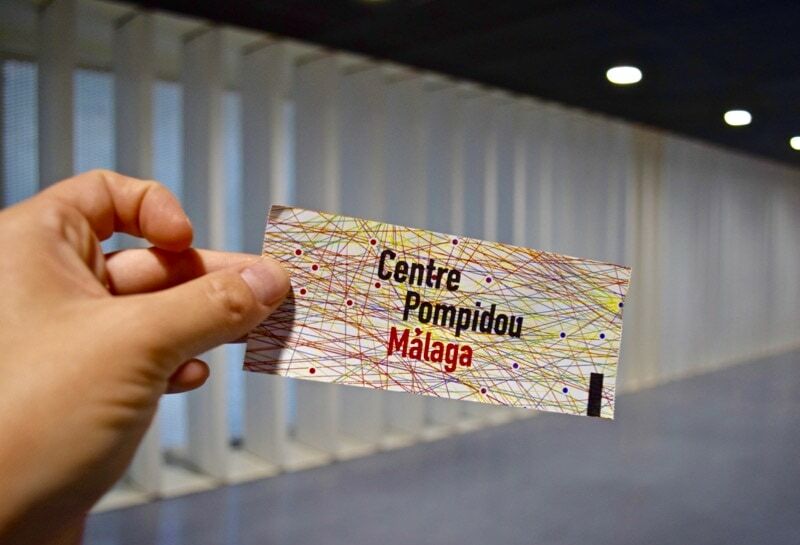 You might not have expected the first Pompidou Centre outside of France to be in Malaga… but it seems to be a perfect fit in this creative city. 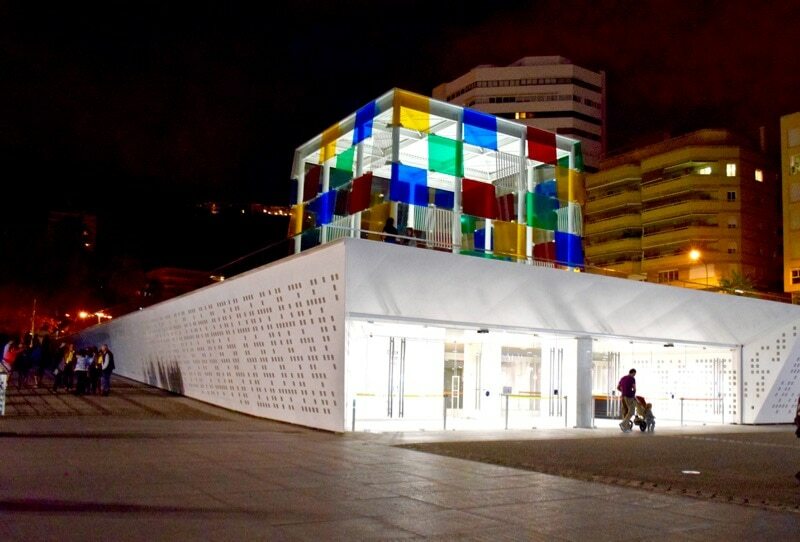 The colourful cube structure sits above ground while most of the modern art is displayed in the gallery underground. 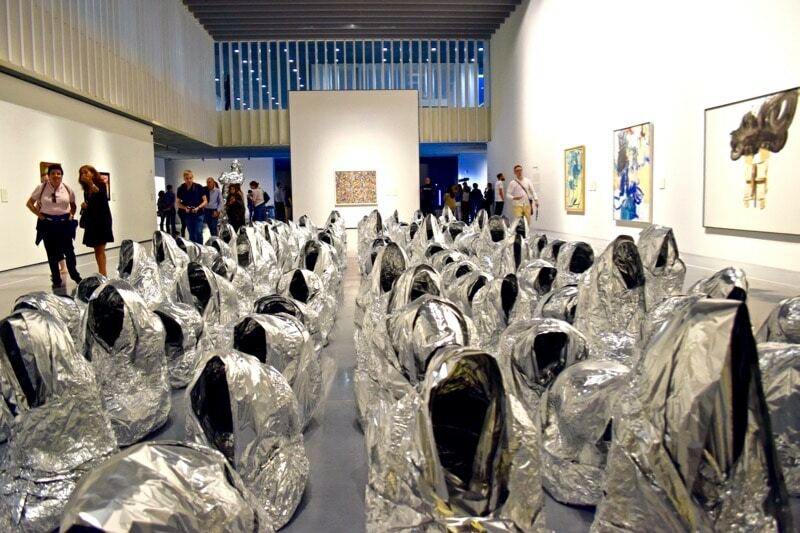 After receiving over 75,000 visitors in the first three months, it’s really set Malaga as a city for art lovers. 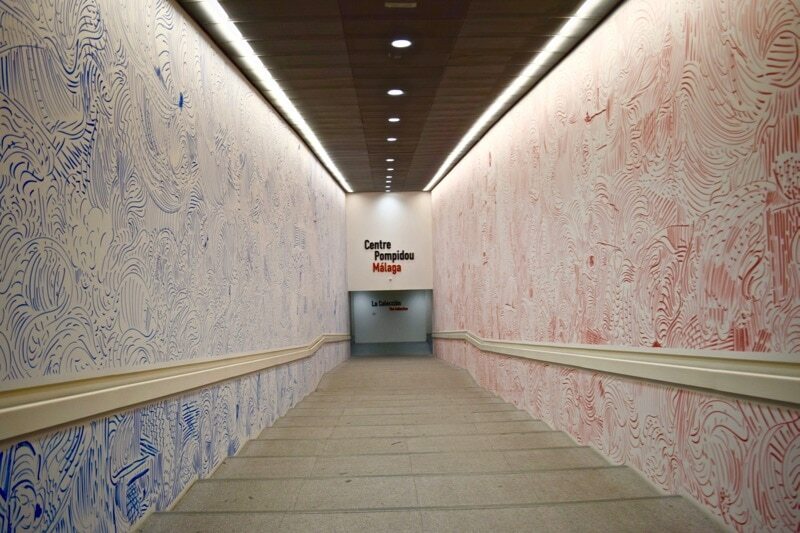 From Picasso and Francis Bacon to dynamic live performances and visiting exhibitions, this is the kind of gallery where you don’t have to be an art connoisseur to really enjoy your visit! 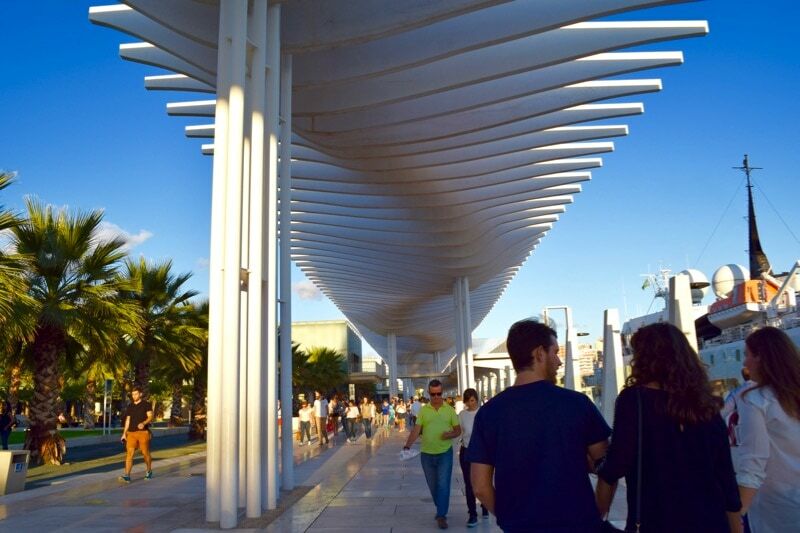 Malaga has a busy port, and this area known as Quay 1 has been completely transformed into a cool shopping and dining area. Along with around 30 stores there are restaurants, cocktail bars and gelatarias. Oh and then there’s Zoco – a monthly market selling everything from handmade crafts and jewellery to delicious organic foods. 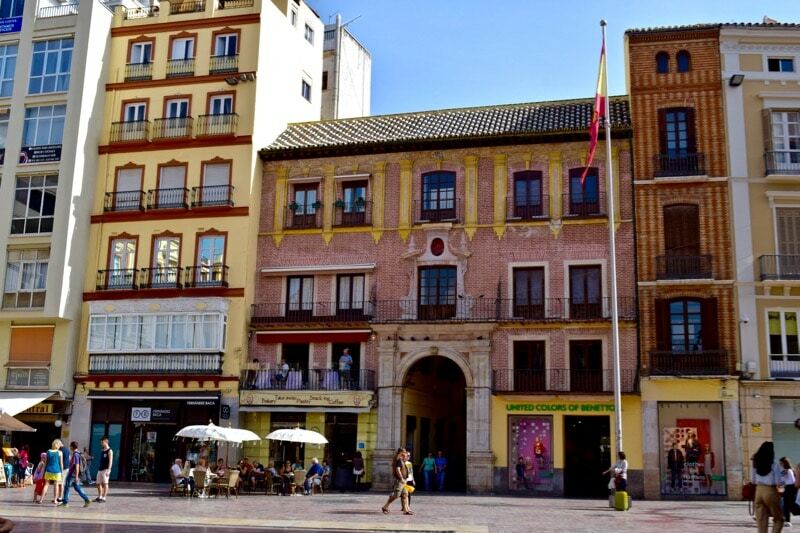 As you walk the streets of Malaga you’ll be amazed at the beautiful historic buildings sitting alongside each other. There’s so much detail on each one… plus plenty of art to take in too. But head up to one of the city’s tallest buildings for a completely different view of the city. Spires poke out between the congested rooftops, while boats come and go in the port. 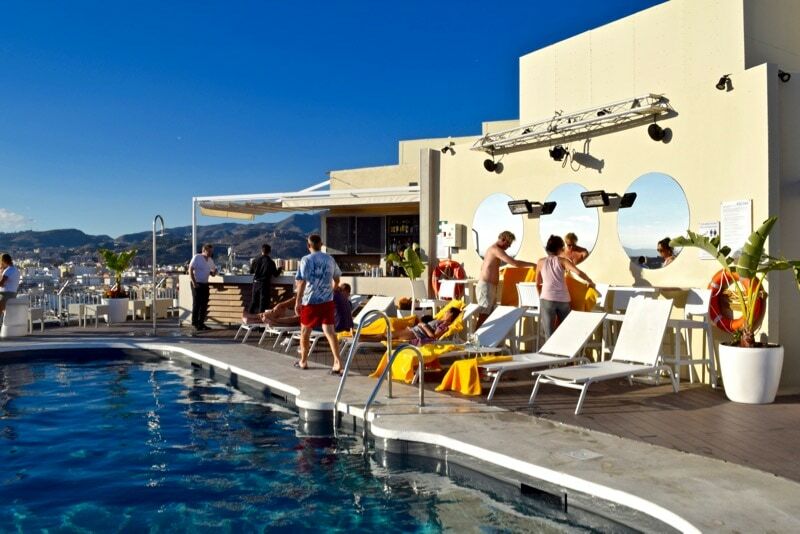 For the best view, head to the rooftop of the AC Hotel Málaga Palacio where you can enjoy the panorama while sipping on a cocktail by the pool! My favourite way to get to know a place is by eating my way around it! 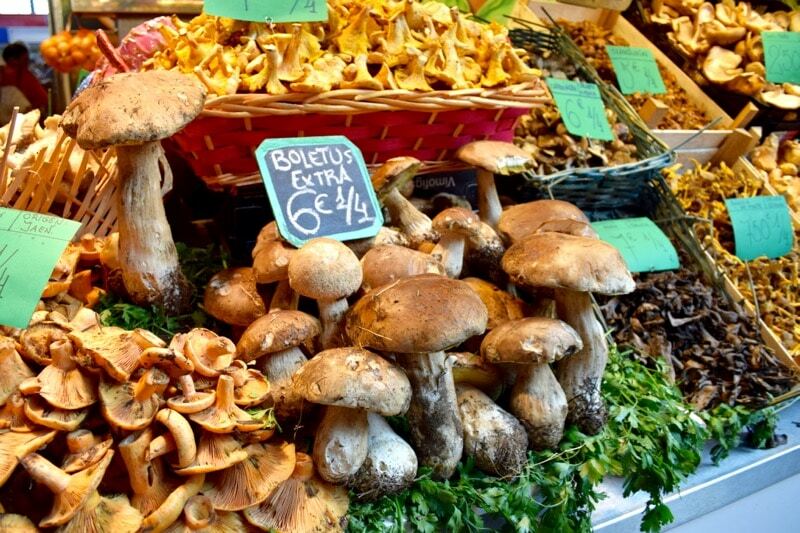 Malaga food tours run by Spain Food Sherpas and Devour Malaga give tourists a great introduction to Malaga with visits to the market and the city’s most interesting restaurants. The guides are full of information, and after the tour, you’ll have a great knowledge not just of Malaga’s cuisine, but also the history and culture that has shaped it. 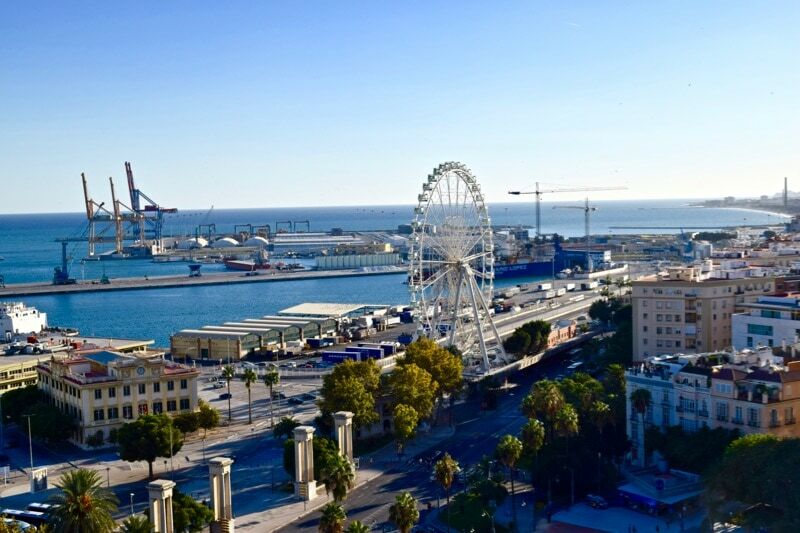 At 70m high, views from the Malaga wheel are pretty spectacular. Located down by the water, its said you can see for around 30km on a clear day – all the way to Morocco! With 42 pods and space for 8 people, it’s a lot smaller than the London Eye, but it’s a still a lovely way to get to know Malaga. 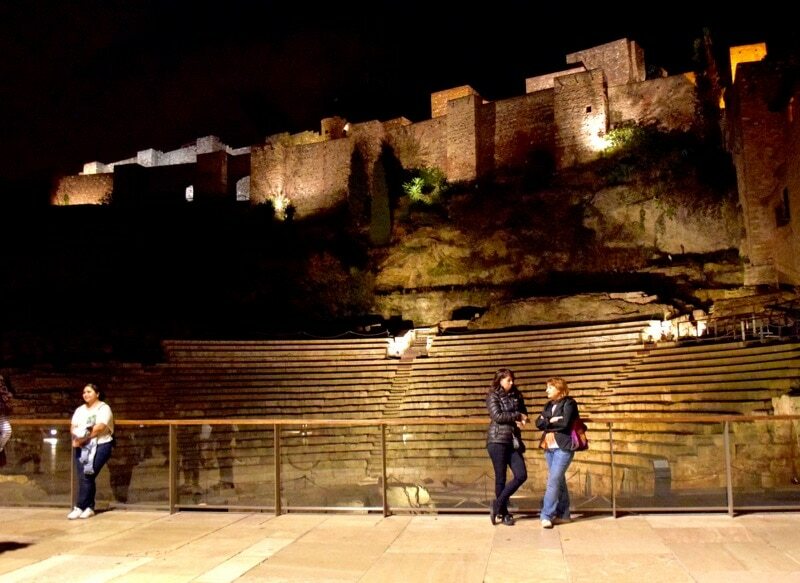 It’s also been voted as one of the top things to do in Malaga for couples! 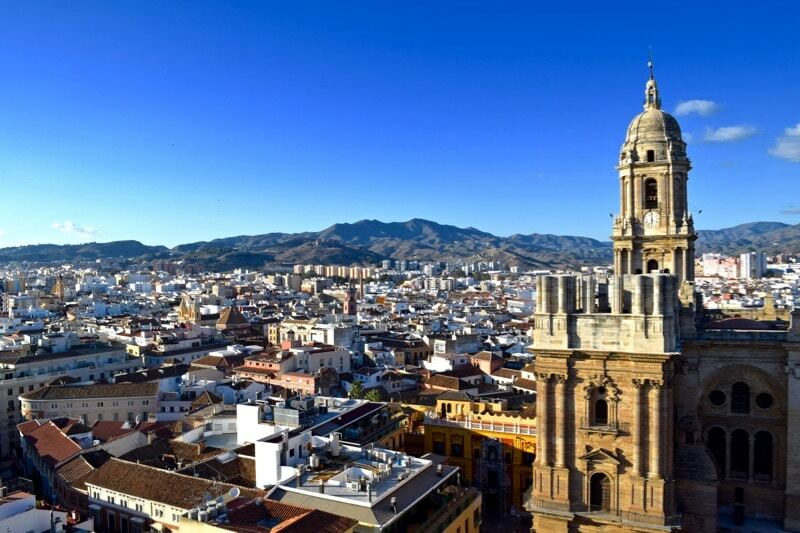 Malaga has been described as one of the oldest cities in the world, with over 3000 years of history. In 7 BC, the Phoenicians founded a commercial centre here named Malaca. The Romans spent time here, plus don’t forget Arabs ruled for eight centuries and left their mark architecturally. For history lovers, there really is so much to see! From the incredible remains of the Roman Amphitheatre from the 1st Century to the impressive Santiago Church, Picasso’s birthplace in Plaza de la Merced, and stunning 10th Century Castillo de Gibralfaro overlooking the city – you’ll have your work cut out seeing it all on your first visit. 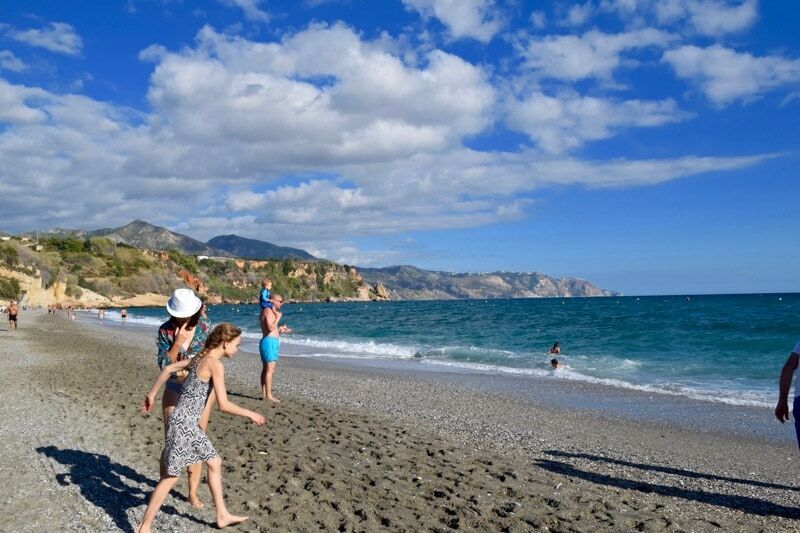 Visiting the beach is one of the top free things to do in Malaga! While many head out of Malaga to the beaches of Nerja or Marbella, there are some lovely beaches close to Malaga’s centre – 15 within the city’s limits to be exact. 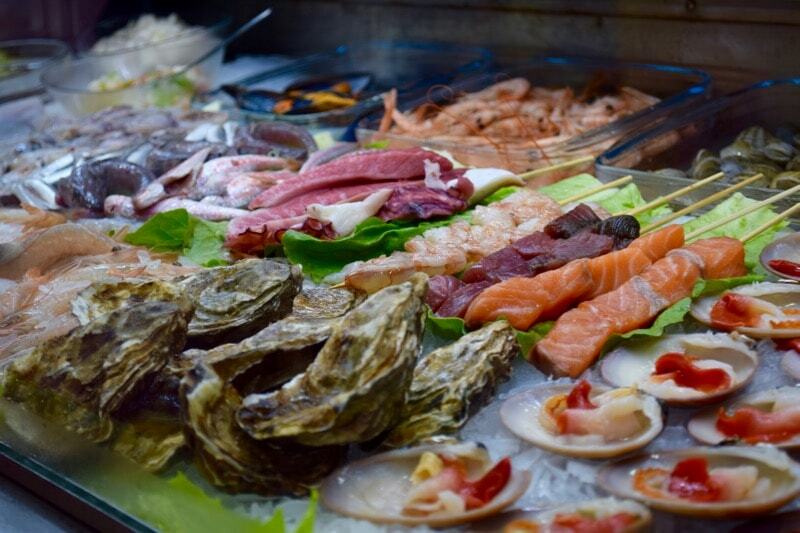 Playa de la Malagueta is one of the closest, lined with shops and restaurants specialising in fresh seafood. Just beyond, Playa de la Caleta is one of the most popular with locals. What to do in Malaga after a busy day of exploring? Enjoy one of Malaga’s famous sunsets! 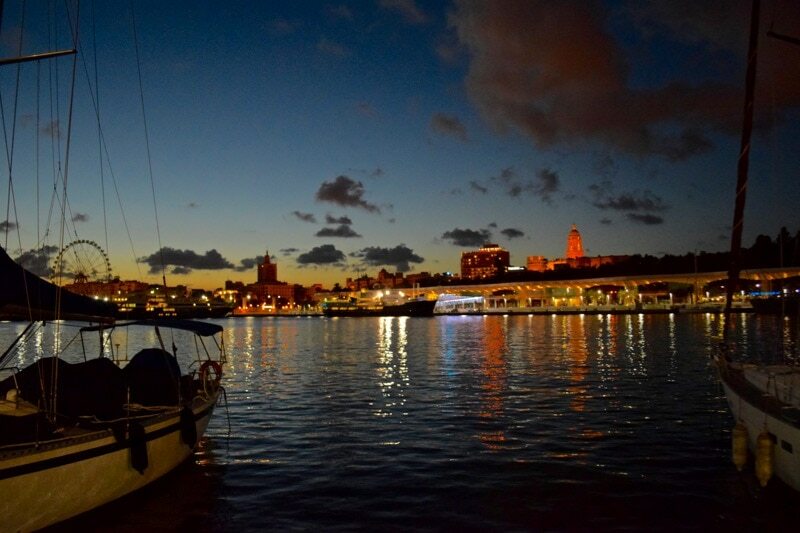 As the sun disappears over the water, it’s time for another side of the city to reveal itself… the nightlife! 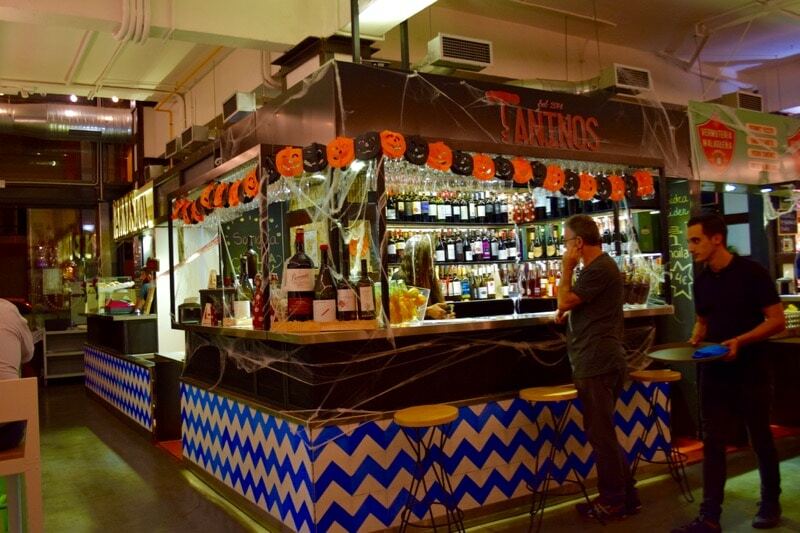 Crowds gather at bars lining Malaga’s ancient streets, enjoying local wine, tapas and more. What to do in Malaga after a busy day of exploring? 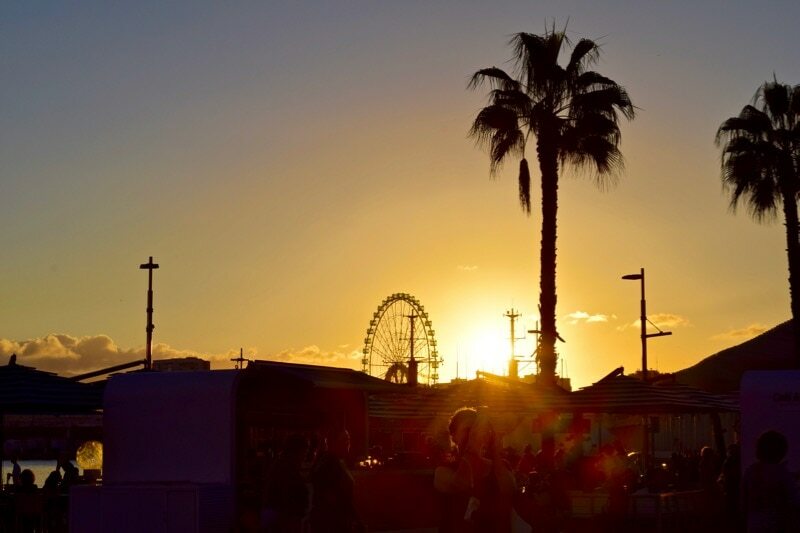 Enjoy one of Malaga’s famous sunsets! Walking Tour Of Malaga: A great first day activity! 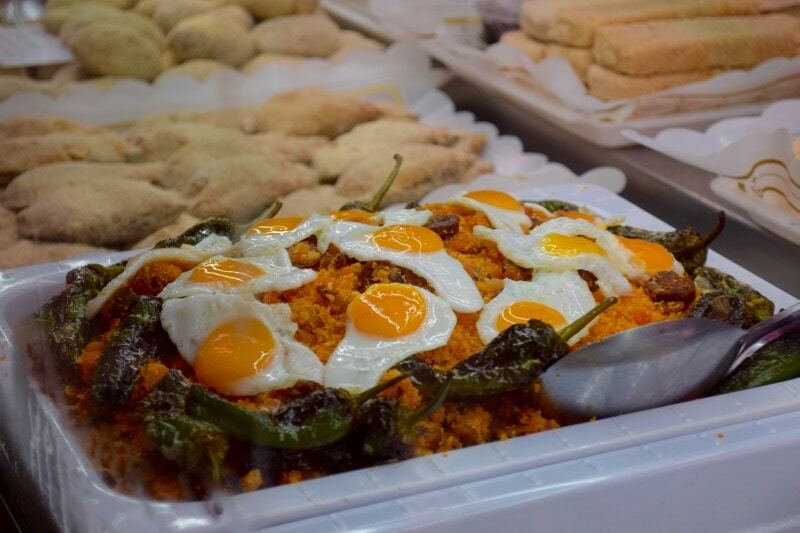 This tour covers Malaga’s food scene as well as the history and culture of the city. 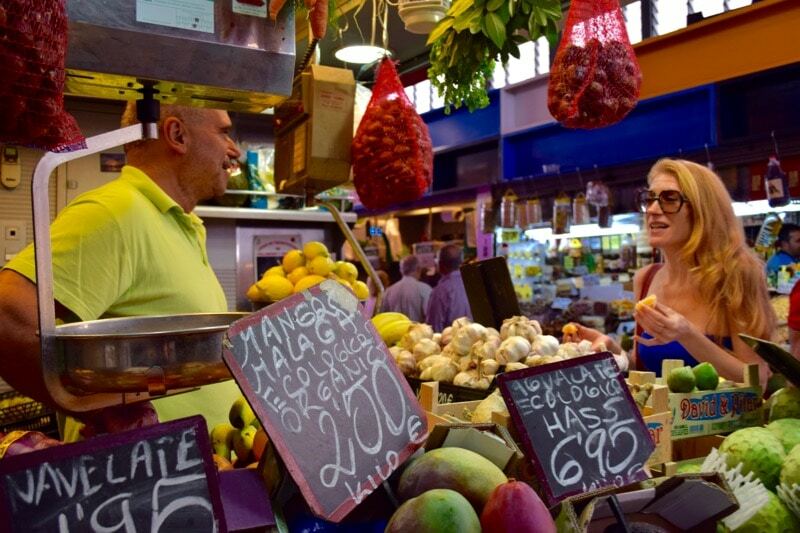 You’ll start at Atarazanas Central Market for some tastings before checking out the city sights including the Picasso Museum, Roman Museum and Malaga Cathedral. 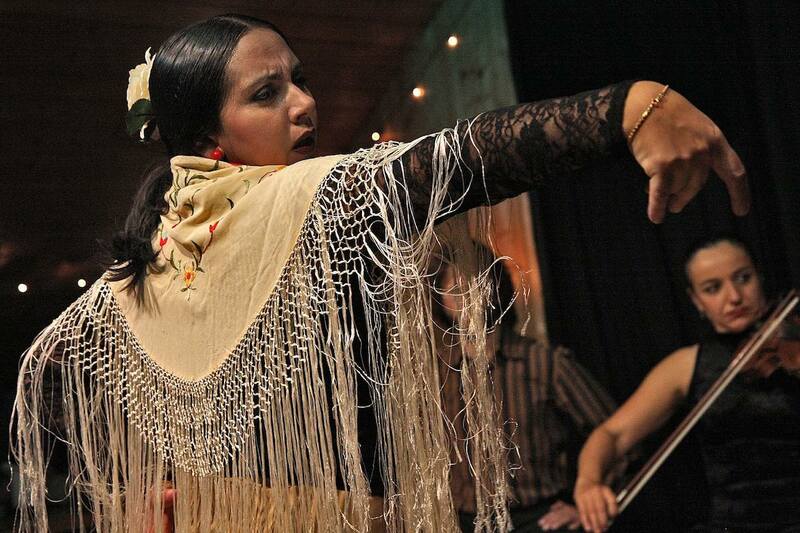 Malaga Flamenco Show: For an entertaining evening, attend an original flamenco show in Malaga’s historic centre. You’ll enjoy great music from a live band, plus enjoy a traditional drink at the bar. 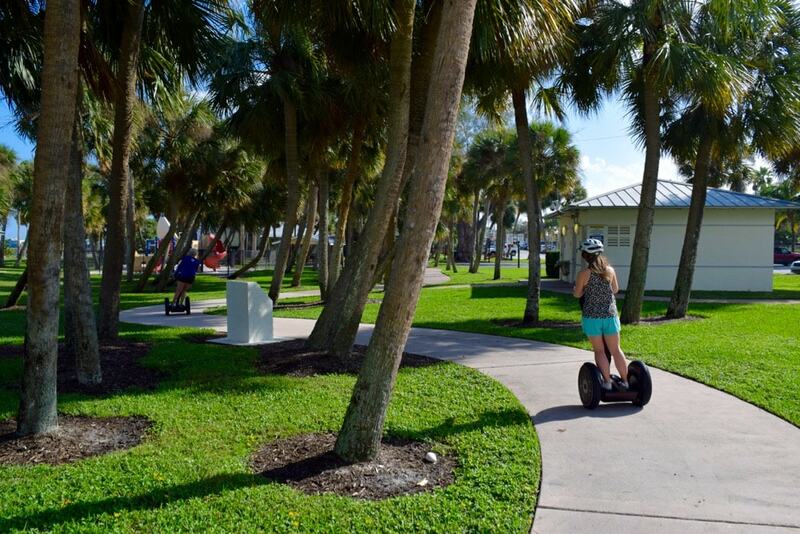 Malaga Segway Tour: Segways are such a great way to cover a lot of ground without exhausting yourself! 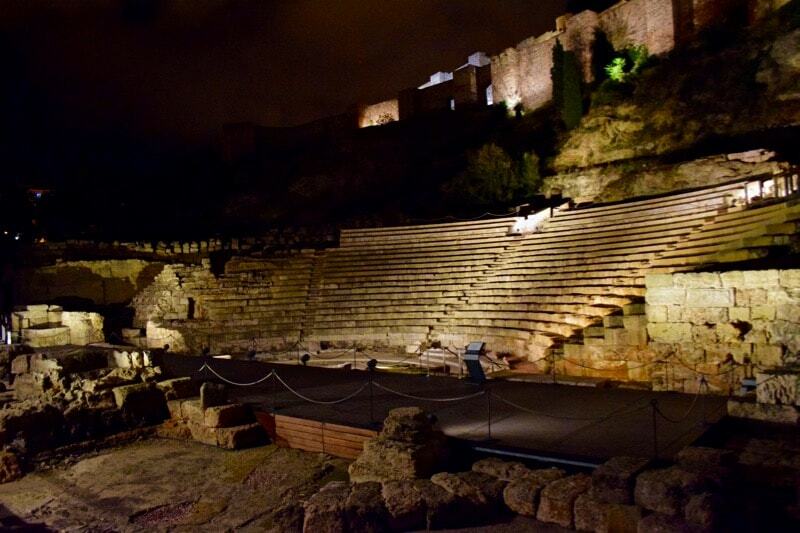 On this tour, you’ll explore the historical heart of Malaga with a guide. You’ll pass landmarks including the Cathedral, the Alcazaba Citadel and the Museo Picasso, as well as zooming along the picturesque seafront promenade! Check prices for segway tours of Malaga. 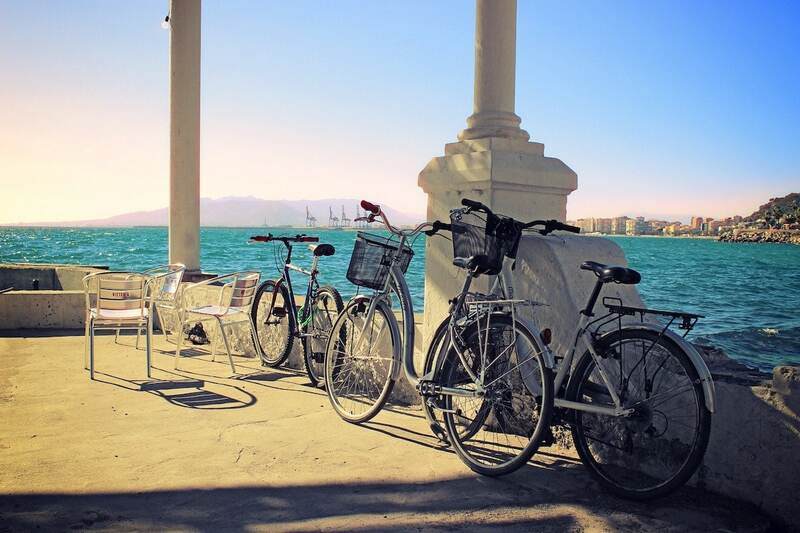 Rent a bike in Malaga: Hop on a mountain, road or electric bicycle from City Bikes and explore the city at your own pace for 24 hours. It’s a great way to see the city, and it’s surprisingly bike friendly too. If you’re feeling adventurous, you could even ride up to the rocky summit of the Malaga Mountains on a mountain bike. Paella Cooking Class in Malaga: Lots of people have tried paella, but making it takes skill! 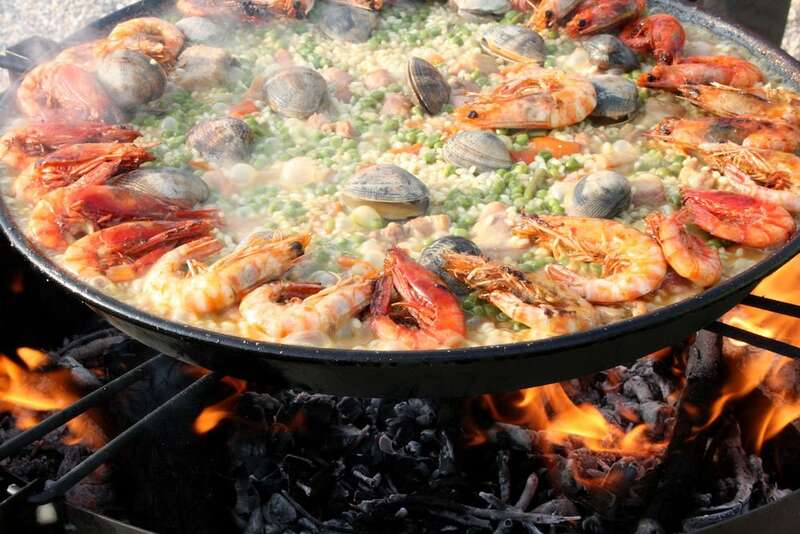 At this class you’ll learn the art of making perfect Spanish paella direct from a top chef. You’ll kick off the tour by exploring the food markets and picking up the ingredients, before whipping up your own gazpacho and paella! City Sightseeing Hop-On Hop-Off Tour of Malaga: A really easy way to see the sights in a day, is by bus! 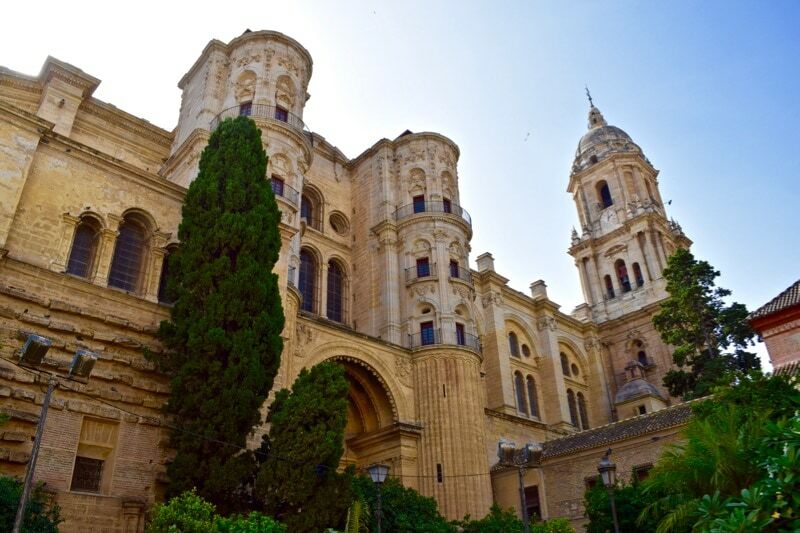 Whether you’re visiting Malaga from a cruise ship, or are staying in the city, the bus tour has 14 stops including Malaga’s Cathedral, the Botanical Gardens and the Picasso Museum. 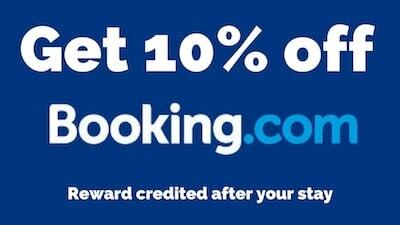 There’s a stop just ten minutes walk from the cruise terminal making it really convenient! 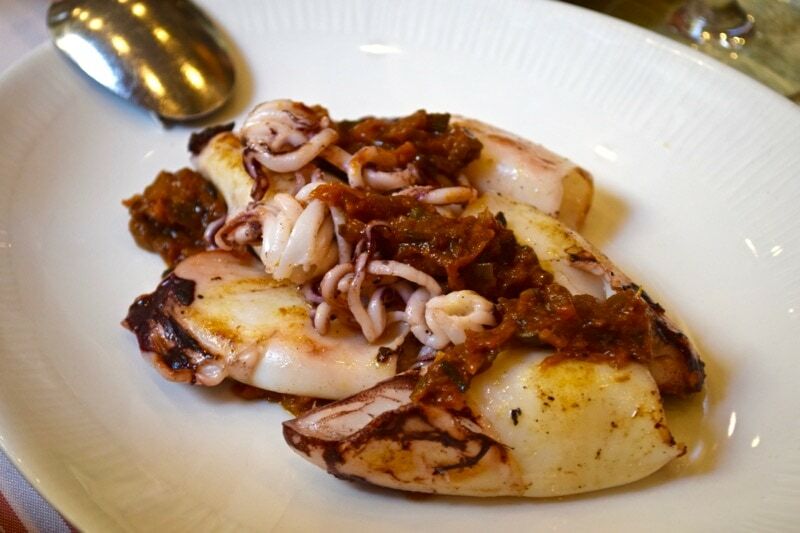 Tapas tour of Malaga: A great way to explore Malaga’s gastronomy! On this tapas tour you’ll learn all about malaga’s food scene, typical dishes, and some interesting history along the way too. 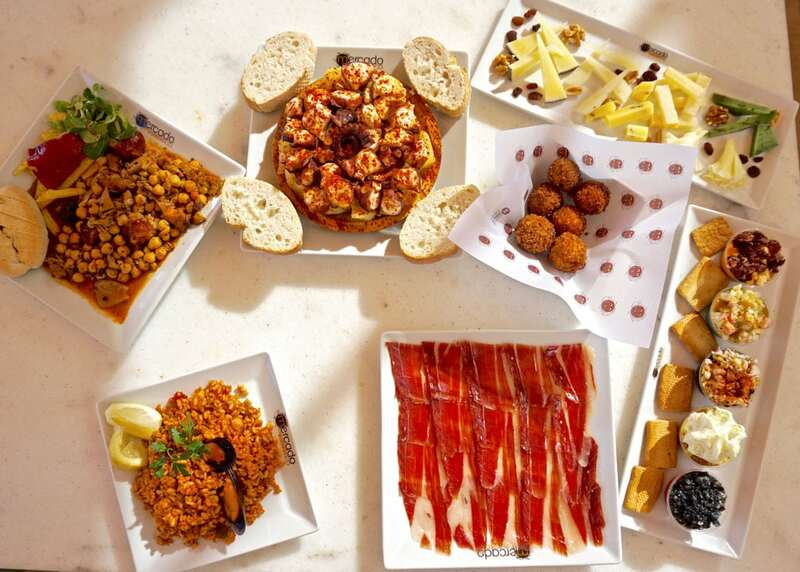 Check prices for the Malaga tapas tour. 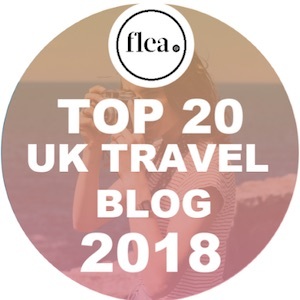 I hope you’ve enjoyed my Malaga travel blog! Hopefully I’ve inspired you to explore the city! Thanks Dave – glad you enjoyed it! Thanks, Cloe for this great article. Málaga one of the loveliest cities and we love to live here and learn new things about this stunning place! 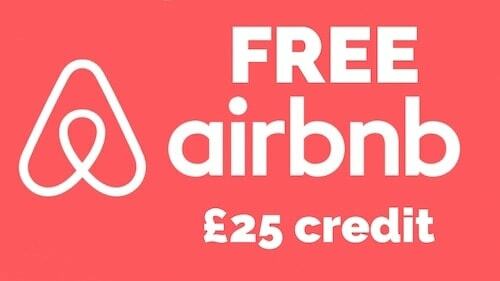 Ah you’re very lucky to call that home! Thanks Chloe, this article is going to be of a great help for me and my wife when we visit here early next year. Once again Thank You. That’s great news! Hope you have an amazing trip!